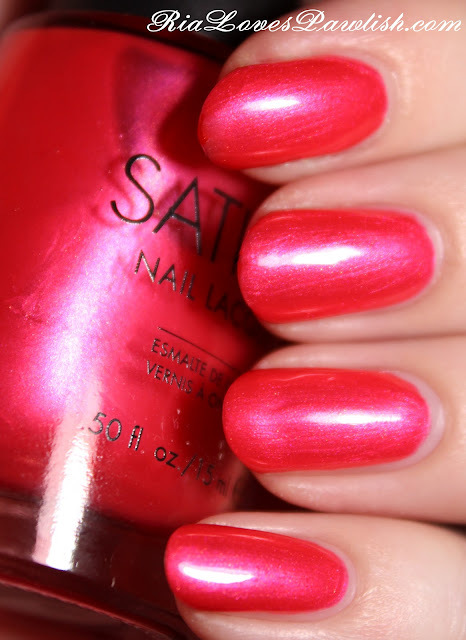 today's polish is Sation Coral Pink! it's a saturated warm pink pearl, with ever so slight shimmer. you can just barely see some brushstrokes, but it's very good for a polish with this finish! i used 2-3 coats for full opacity, it's going to depend on how white the tips of your nails are to decide how much you'll need. i would definitely add a topcoat to finish it off with that extra bit of shine! 2-3 coats Coral Pink, one coat Poshe Topcoat. this is a bright, fun color that will help you think warm as we move into Fall!